Manufacturers of Quality Rubber Products | Thomas A. Caserta, Inc.
Thomas A. Caserta, Inc. custom manufactures quality rubber products for diverse and demanding industries throughout the world. Our products include washers, gaskets, bushings, tubing and cord. These products can be supplied in many different rubber materials such as EPDM, Neoprene, Nitrile, SBR, Silicone and Viton®. We can design and supply prototype parts with fast turnaround time. 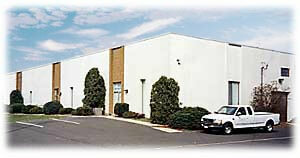 Thomas A. Caserta, Inc. utilizes the latest equipment for producing high quality parts at very competitive prices. No matter how small or large your production requirements are, we are able to meet your needs. Thomas A. Caserta, Inc. has continued to produce quality parts at competitive prices for over 50 years. With our skilled and dedicated people, we are able to fulfill our number one goal…customer satisfaction.